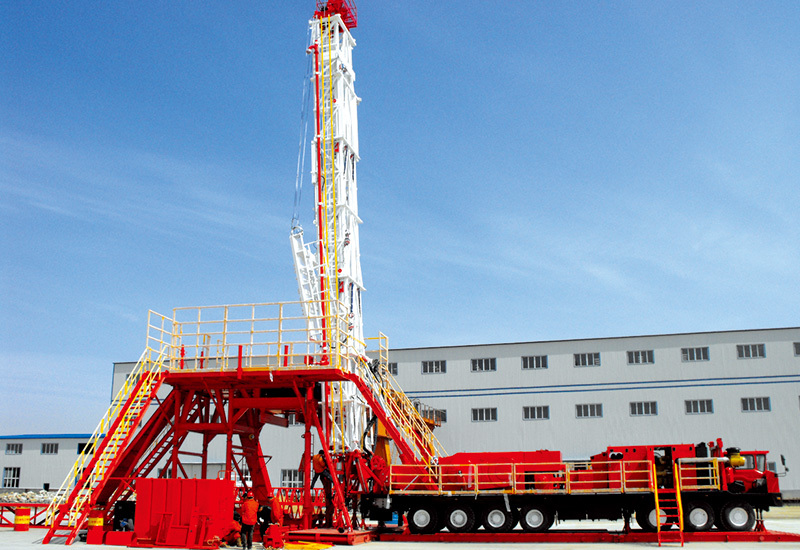 ZJ30 Drilling Rig was developed by our company independently, with a truck-mounted structure and Max. drilling depth of 3,000m, in which a dual-engine parallel power system and a parallel transfer case that owns independent intellectual property are adopted, so it is reliable in transmission and convenient in maintenance, while realizing single engine or parallel operation in the rig. The type of drawwork auxiliary brake adapts air controlled water cooling disc auxiliary brake, and the chassis is 14×8. The load is distributed reasonable, and the tail axle is air suspension driven axle. The top drive system is optional.